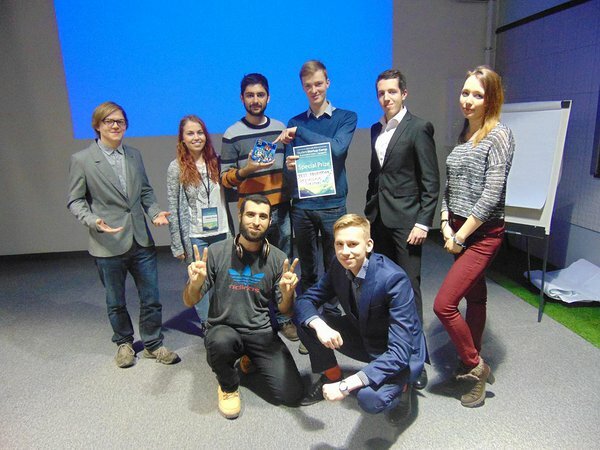 Already for the 4th year Student Startup Camp was held in Tartu, the town of knowledge and a fast-growing startup ecosystem. 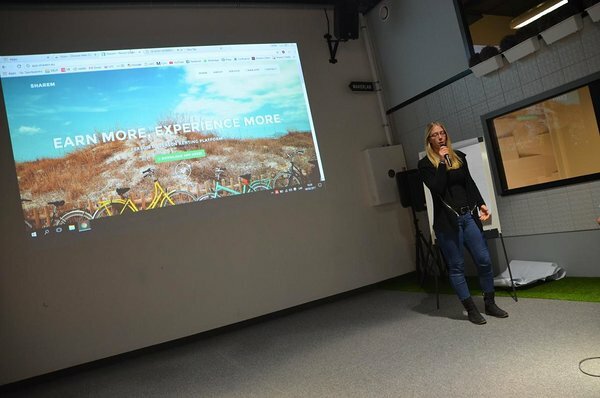 With the help from University of Tartu, IdeaLab and SPARK business centre ca 100 students came together to pitch ideas, form teams and work hard for the whole week to build their ideas into working prototypes. Martin McGloin, one of the speakers of the event and the head of Garage48 alumni team Sorry as a Service, praised the participants for taking on the challenge of a week-long hackathon, “I remember the intensity of the Garage48 hackathon where we started Sorry As A Service and that was just one weekend, I cannot imagine this intensity spread over a full week!” All of the 12 teams were totally up for the test and all of them delivered a stellar demo on Saturday night. 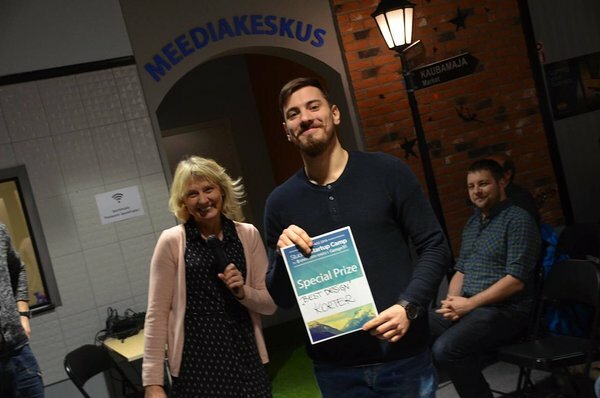 We started on Monday at SPARK business and community centre where students from universities from all over Estonia gathered, 28 ideas were pitched and 12 most promising ones formed a team around them. The first night ended at the popular culture bar Naiiv where teams started to put down the action plan and more importantly getting to know each other to face the high pressure situations expected to arise during the week. During the next days the teams had many entrepreneurs coming in covering all sorts of aspects of launching a tech startup. 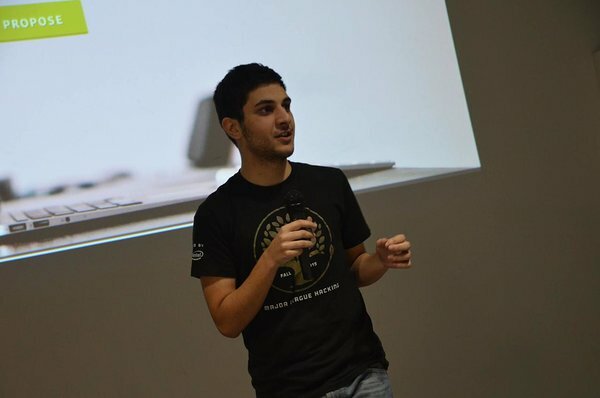 Subjects from the concept of a Minimum Viable Product to the importance of teamwork to “dirty tricks” for hacking were covered by x awesome mentors committing their time during their week. The core team consisted of Garage48 long time mentors: Krists Avots, business and marketing guru & currently the Director of Business Development at Lattelecom, Maret Kruve, design and front-end lion & product manager at Testlio and Kai Isand, a pitch coach & Garage48 current Head of Operations. During the week we had also a list of guest mentors coming in to give lectures on several subjects: Jüri Tomingas, product manager at Pipedrive, Jüri Kaljundi, co-founder at Garage48 and Weekdone, Siim Pruulmann, developer at Mooncascade, Joosep Raudsepp, digital marketer at Vurr agency, Rein Lemberpuu, founder of Contriber, SPARK & sTARTUp HUB. The technical issues were covered by Kelian and Anton, developers from Mooncascade, George Mays from Testlio and Chris Thompson, the founder of Speak Languages and Neuroactive Labs. We also invited some really cool founders to share their stories. Similarly to the participating teams they have started from hackathons and startup competitions to make their ideas come to life. 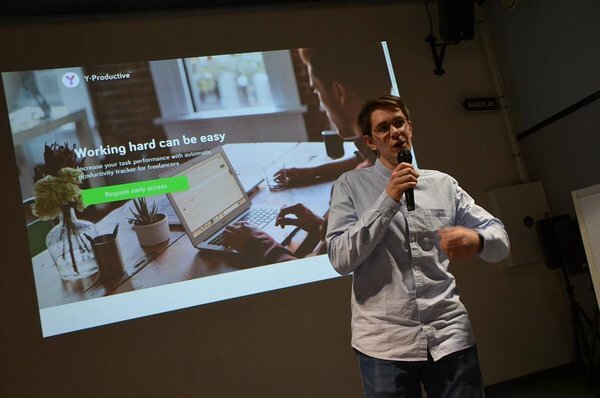 The founder of GoWorkABit, a Garage48 alumni team, Kei Karlson shared so many warm laughs and told the story how hard work and a great team is the best recipe for a successful startup. Martin McGloin, the founder of another Garage48 alumni team Sorry as a Service, proved to have endless energy - that must be one of the reasons for Sorry as a Service becoming so successful and trusted by already so many companies. Aet and Uku from Sprayprinter, a hardware startup that can make everyone an artist, were sharing their story of building a stellar team, launching crowdfunding campaigns and losing sleep to build one inventor’s idea to a real product. 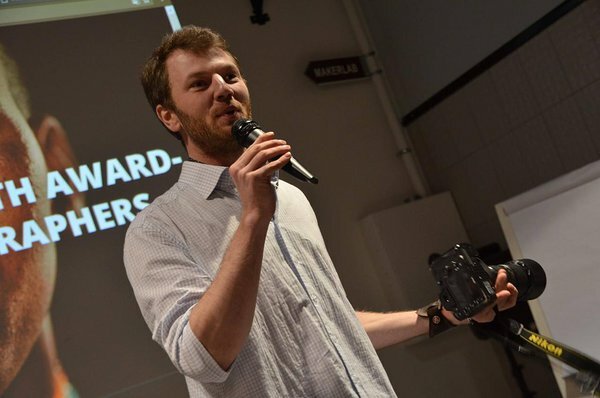 And Kristaps Grinbergs from QMinder, also started at a Garage48 hackathon, concluded everything with a brilliant quote: "Building a startup is like having children - everybody wants them at one point in their life but they don’t realise how hard task really is." So only the ones up for the challenge, should follow this path. FRAKTORY – it’s a website that helps engineers find equipment and even out the workload for the equipment owners. Team: Martin Vares - PM, know-how, industry expert, design, management; Max Hecht - research and analysis; Reino Zuppur - design and development; Verner Läll - development; Kristin Vaher - design, art director; Radita Liem - head developer, code; Joosep Merelaht - market research, business, management; Sadaqat Ali - lead generation, research. KORTER is creating a network for apartment owners and apartment managers. It will ease the communication between apartment owners in the building and therefore create a friendlier environment for everybody to live in. The functionality that makes us better than other competitors is that we are offering a fully automated billing system, that includes telecommunication bill, which cuts out the accountant and gives you statistics on your previous bills. The application also offers a good overview on different documents and contracts considering your apartment or your communication services. Team: Marten Jaago, Marketing; Andre Purve + Project managing; Egert Teesaar, Software dev; Geraldine Granada, Software dev; Johannes Laamann, Software dev; Juhan Kokla, Marketing; Mark Kodar, Marketing; Katariin Mudist, Design; Margit Urva, Design. "Most environmental friendly project aka Best Eco Heroes"
Every tree has a story... think: who planted it, why they planted it, where they planted it, and when they planted it. If you plant a RootForest tree, we make sure that your tree's story (and a selfie of you planting it!) will never be forgotten. How? Blockchain wizardry and mobile tech magic. So join us - buy a RootForest tree, plant it using our app, and show the world what YOU root for, forever. 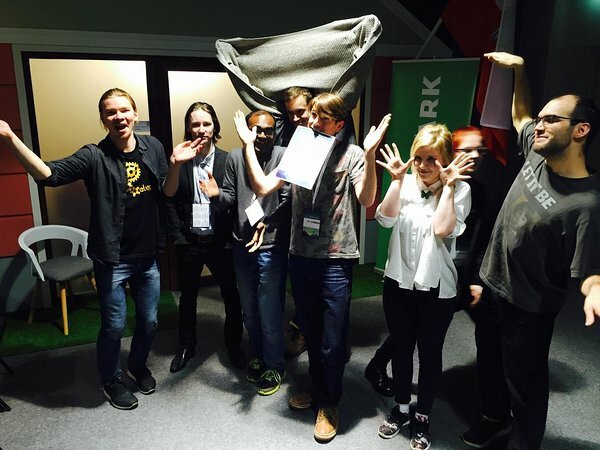 Team: Ian Weatherseed - CEO - UK/US; Ethan Carton - Project Manager/Innovator - US; Hannes Virkus - Marketer - Estonia; Iiris Jaaska - Disainer - Estonia; Markus Nuut - Analysist Estonia; Rezwanul Islam - Developer - Bangladesh; Kaur Järvpõld - Developer - Estonia. Recycling Solutions are making an affordable solution for recycling companies to understand which garbage bins are full. The solution will make optimised routes for garbage collection. It would generate less CO2 emissions and there would be no more overflowing garbage bins. This product is necessary for garbage companies, which would save at least 20% in garbage collection costs. The grand strategy of this company is to sell more affordable garbage collecting solutions than its competitors. Team: Karl Gustav Kallasmaa- IT developing and finances, research; Magnus Oja- Casing, hardware; Mariet Pihlapson- Homepage, pitching, research; Martin Käärik- Strategy and collecting data from recycling companies. Research; Pavel Sumejko- Hardware(making the button work); Svezdana Apsovka- Hardware(making the button work); Samer Smeer- software. Making the button work; Sixten Leemets - routing and webpage front end. Recieveing information from button. Every second person thinks coding is too difficult. 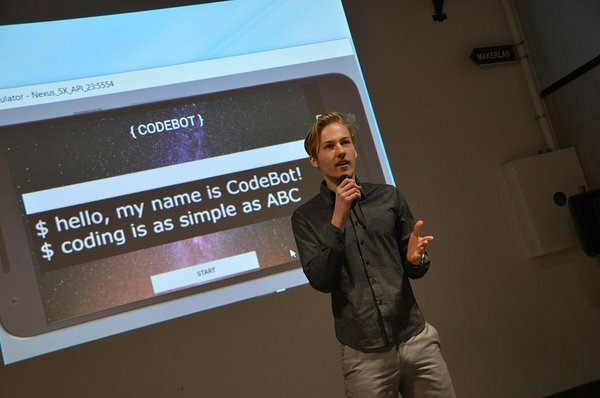 CodeBot is a mobile app which teaches the basics of Python and then the user can practice the learned materials with a bot by choosing the correct answers to the multiple choice questions. Learning looks like talking to a friend on Facebook, there's nothing scary about that. CodeBot shows everybody can code. Coding has never been easier. Team: Victor Aluko, Software engineer; Toom Lõhmus, Software engineer, Estonia; Madhushree Singh, Software engineer; Markus Johann Kuslap, Marketer; Kaspar Kuus, Team leader, marketer. 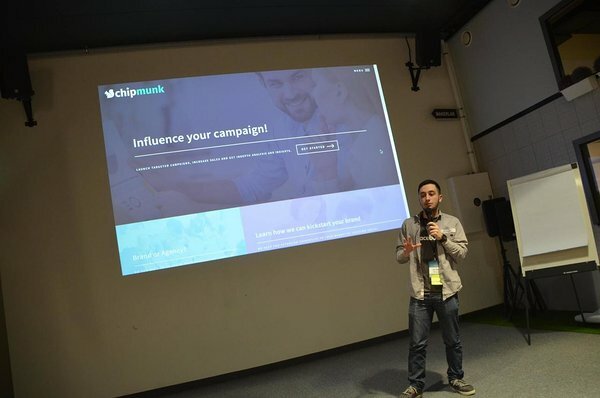 Chipmunk is a web platform for the companies and startups which helps them to be promoted by the famous influencers that have at least 1000 followers on the social media. Once the companies are registered on the website they update all of their information and create campaigns which includes introducing new products, write reviews, promoting services. Then the invited influencers share the articles about the companies and promote them. If they have huge amount of views, they get paid. Team: Antony Orenge - Team Leader - Software engineer; Ucha Vekua - Marketing/ Project manager; Giorgi Tsiklauri - Web Developer; Roman Hrushchak - Web Developer. The majority of all ventures started fail partly due to not finding the right people to do the project with. The TeamUP service will bring together the right people to ensure that projects no longer fail due to lack of team. Driven people with ideas will be able to find a skilled team and resources needed to succeed. Companies will be able to share their problems to get outside perspective and find driven future employees. Team: Anastasia Ikonakova + Design; Gabriel Winegarner + Company bum; Sherīf Quadrāt + Developer; Andro Gvivradze + Developer. Team: Sanita Lasmane - marketing/ business; Fortunat Mutunda - front-end developer - Democratic Republic of Congo; Ismaeel Adedeji Raji - marketing/ business; Mykhailo Kiktenko - legal adviser; Oluwatobi Samuel Omisakin - back-end developer; Talha Mahin Mir - mobile developer - Pakistan. Y - productive is an automatic productivity tracker for freelancers. It allows the user to spend less time by doing the same amount of work in order to keep a work-life balance or earn more. It can block all potential distractors to keep the user focused. Moreover, it detects when productivity decreases and notify that it’s time to have rest, it also will know when the user is mostly productive and suggest what to do and when. Therefore, it is like a personal productivity coach. 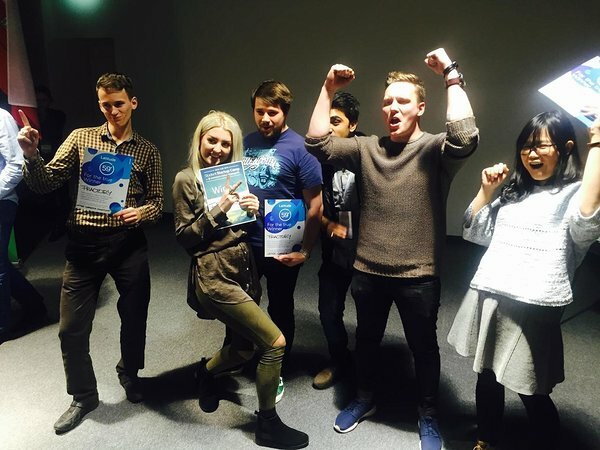 Team: Vladyslav Kopylash - team lead, developer; Artem Zaitsev - developer; Astrid Pung - designer; Solomiya Branets - marketer; Mahboob Alam - marketer. 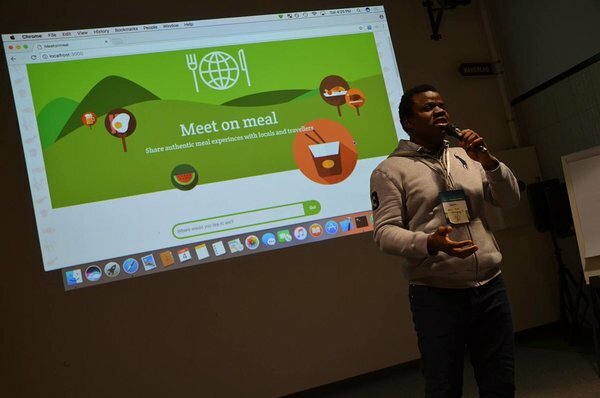 Meet On Meal is a food-sharing platform that allows you to share your meals and hospitality with both friends and strangers - In return you can reserve meal with a either a friend or stranger - the choice is yours! Team: Nishant Poddar - Business Development; Fisayo Akande - Business Development; Thales Ribeiro - Back End Developer; Sercan Altundas - Front End Developer; Mihkel-Kristjan Pant - UX Designer; Bilal Abdullah - Mobile Application Developer. Phototours helps award-winning photographers to run photo tours for photography lovers. They take care of sales, invoices, logistics, accommodation and other tourism specifics, so the customers can focus on taking their best ever pictures. Additionally, they offer photo workshops to get more amateur photographers interested in purchasing tours. Team: Alex Permyakov, business; Ahmed Eleyan, marketing; Janeli Õun, designer; Junaid Ahmed, developer; Liina Plaado, designer; Solomia Prokopiv, marketing; Vostan Azatyan, developer. 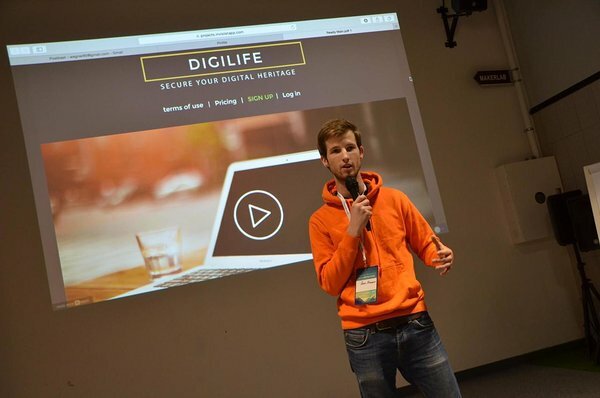 Digilife is building world's most secure way to protect digital legacy. DigiLife is a service where person can pass login/passwords to online accounts and important files to friends or family in case of death or accident without any third party (including DigiLife itself!) being able to access it. The customers will never have to worry about writing passwords on paper again. Powered by end-to-end encryption and smart contracts running on Blockchain, DigiLife is a right answer to challenges the world, powered by data, is facing.